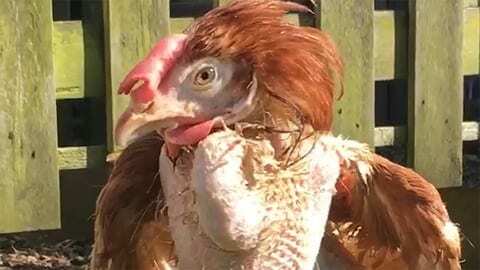 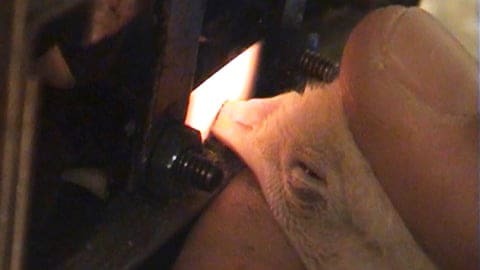 Debeaking (or beak trimming) is a standard practice in the egg industry. 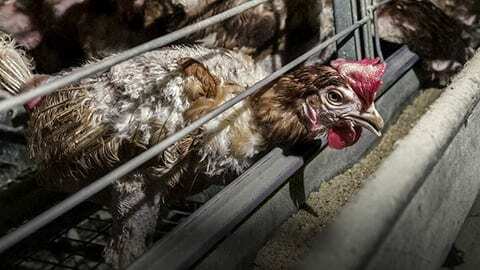 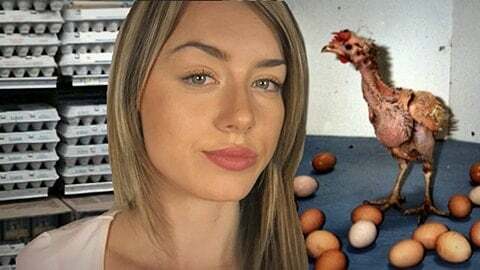 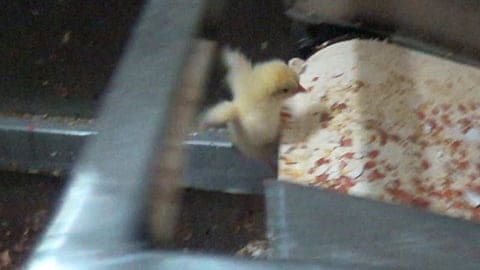 It's done in order to prevent the hens from pecking and injuring each other, while crammed inside the tiny battery cages. 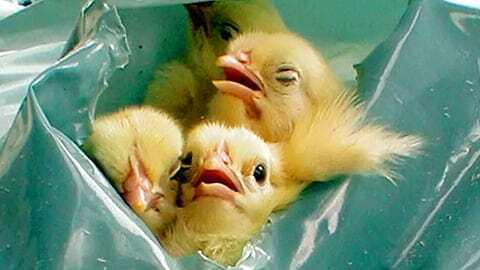 The beak is a sensitive organ that contain many sensory receptors. 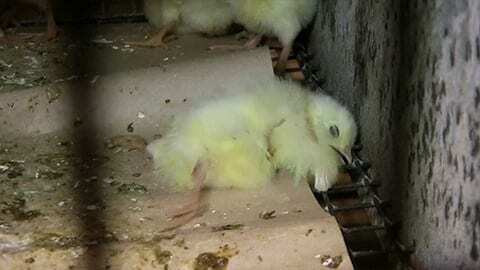 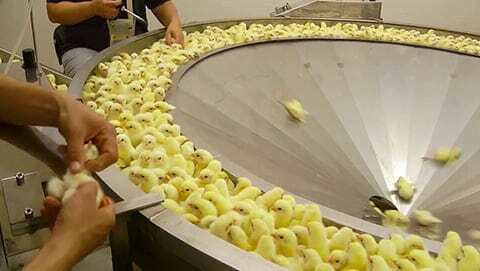 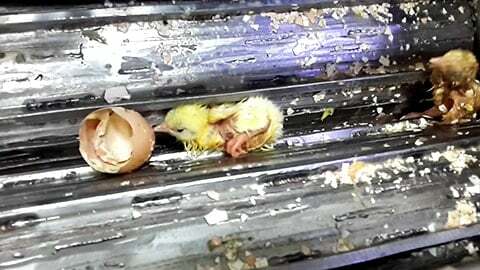 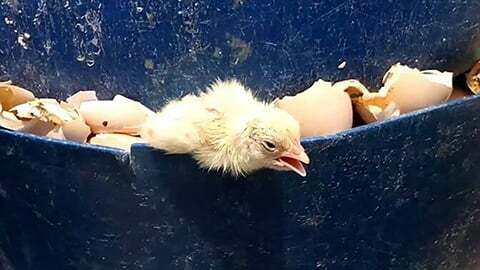 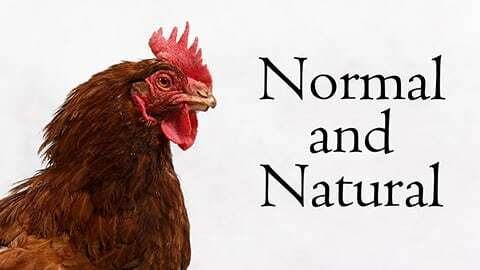 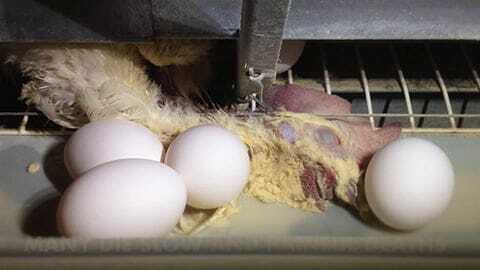 When trimmed off, the baby hens feel a strong pain and experience difficulties to eat.